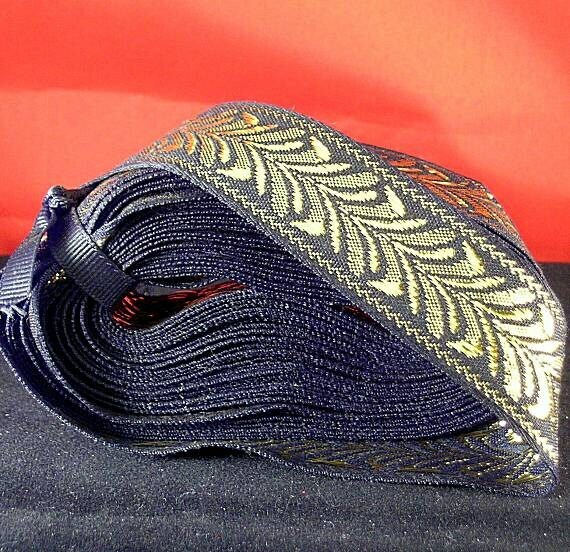 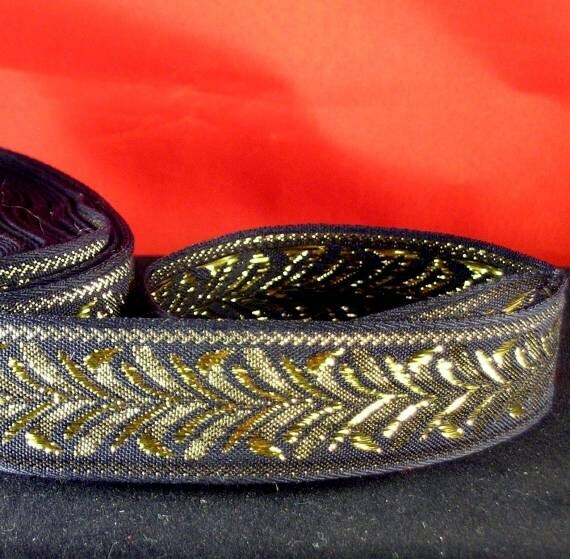 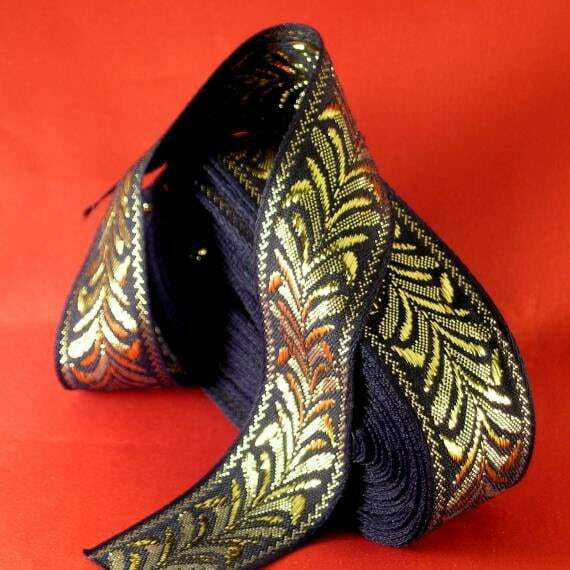 Metallic gold trim with a stylized leaf or wheat design on a black base. 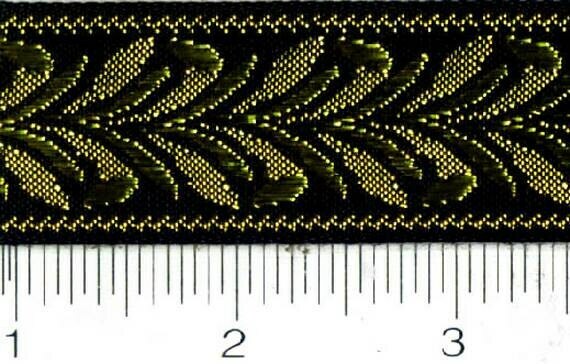 It is 1" wide with a 3/4" design repeat. 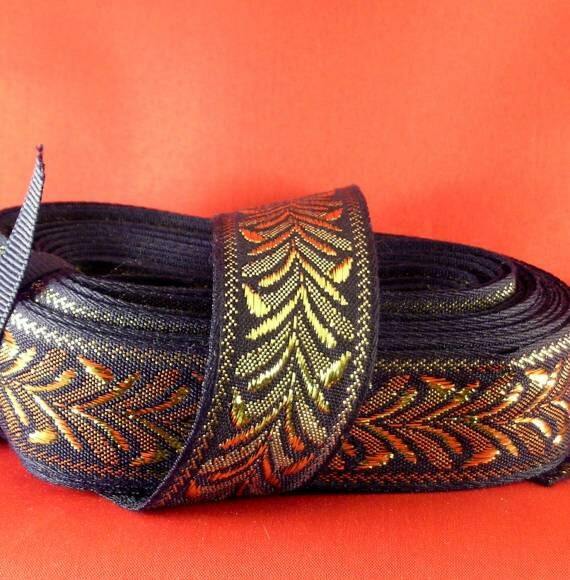 $3.00/yd - 6 yards - Not reversible - Made in the USA!